Nicholas R. Lange focuses his litigation practice on class actions and other complex civil litigation. His litigation experience includes prosecuting and defending matters involving contracts, declaratory actions, torts, fraud, breach of contract, wrongful death claims, legal malpractice, commercial leases, shareholder disputes, and premises liability. He handles all aspects of litigation, including pre-litigation investigation and negotiations, motion practice, discovery and depositions, pretrial conferences, and trials. Nicholas’ federal and state appellate experience includes actions regarding the Federal Wiretap Act and premises liability. 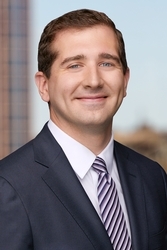 More recently, Nicholas has represented countless condominium and homeowner associations in all manner of litigation, with a particular emphasis on covenant enforcement, owner disputes, and litigating provisions of common interest associations’ governing documents. He has advised boards of directors, reviewed and litigated contracts, and drafted and interpreted declarations, by-laws, and other forms of governing documents. Over the course of his career, Nicholas has served as general counsel for numerous not-for-profit corporations. As such, he has drafted, redlined, negotiated and litigated numerous vendor contracts and other key agreements. He also provides counsel in connection with corporate and business-formation matters, including board governance and funding. While in law school, Nicholas focused his curriculum on civil litigation, legal research and writing, corporate law and insurance. He received the CALI Award of Excellence in Electronic Discovery. While earning his bachelor’s degree, Nicholas studied and worked for six months in Tanzania with a focus on international law and conflict. His work culminated in a presentation for the International Criminal Tribunal for Rwanda in Kigali, Rwanda. As set forth more fully in Katrina Carroll's June 2018 blog post, Drop it Like it's Not: "Ringless" Voicemails and the TCPA, ringless voicemails may represent a new area of technology that is not expressly referenced in existing law. As recent opinions suggest, however, existing federal regulation is better suited to regulate "ringless" voicemails than thought.